If you are caught speeding, the police can give you the opportunity to go on a four-hour course to help you keep to the speed limit in future. have not taken the same course in the three years before your most recent speeding offence. After completing the course, there’ll be no further action taken for the speeding offence. But if you book a course, and don’t turn up, the case goes to the Crown Prosecution Service. It’s a relaxed classroom setting with other people who have been caught speeding, run by qualified trainers. 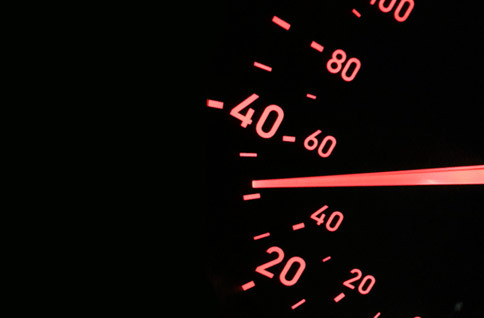 You’ll learn how to identify speed limits, the consequences of speeding, the benefits of sticking to the limit, and how to avoid speeding again. There is no driving, and no test. It costs £90, but when you have completed the course, you don’t have to pay the normal £100 fine, and you don’t get points on your licence. Courses are on different days, at 8am, 1pm or 5.30pm, with some on Saturdays at some venues. To be aware of our terms and conditions.